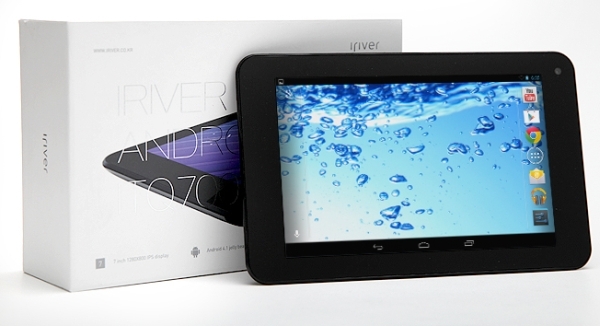 The Korean company IRiver has now come up with a tablet almost a year after it discontinued its IRiver Story HD e-reader. Dubbed the WOWTab iq700, the tablet offers specs almost similar to the Nexus 7. This in itself isn’t a bad thing, though the Nexus 7 is due for a complete makeover anytime soon. In such a scenario, the WOWTab does run the risk of losing its relevance. The WOWTab comes equipped with a 1.2 GHz NVIDIA Tegra 3 quad core chip mated to 1 GB of RAM and 16 GB of internal memory. A 7 inch, 1280 x 800 pixel IPS display makes up the tablet’s front. Other features the tablet boasts of include GPS, Wi-Fi, and Bluetooth, with Android 4.1 Jelly Bean as the OS. A 4000 mAh battery powers the device, though its actual runtimes aren’t available as yet. However, the one area where the WOWTab scores is the inclusion of a microSD card slot, which is absent in the Nexus 7. IRiver is all set to launch the WOWTab in South Korea on the 21st of Feb for an estimated price of around $230. However, the company hasn’t stated if it plans for a worldwide launch, if at all it does.